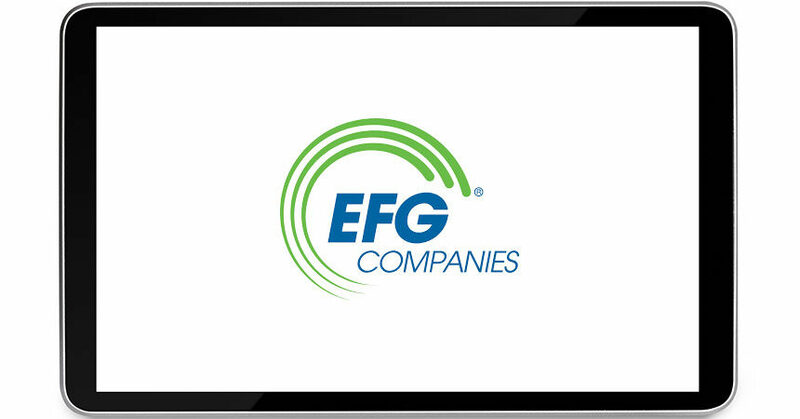 Dallas — March 20, 2018 — EFG Companies, the innovator behind the award-winning Hyundai Assurance program, announced today the results of its second national consumer research study revealing the critical role of a dealership’s online presence in making a sale. According to the 1,457 respondents, their buying research process goes well beyond simply narrowing down their vehicle selection, and the smallest mistake can eliminate a dealership from consideration. The softening market, coupled with a growing Millennial/Gen Z consumer, demands an increased focus on the dealership’s digital eLead process to increase conversions. For more information, visit bit.ly/2GGG93K. 50% of customers check a dealer’s online customer reviews prior to considering them for a potential vehicle purchase. 71% compare dealership website prices before deciding which dealership to visit. 83% expect a response from the dealership within 24 hours of sending an online vehicle inquiry, and 16 percent want information immediately or within the hour. 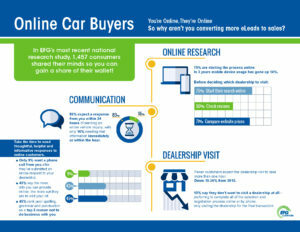 43% say the more information you can provide online, the more apt they are to visit the dealership. 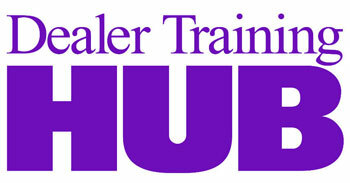 45% rank poor spelling, grammar and punctuation as a top three reason to eliminate a dealership from consideration. Only 9% want a phone call from the dealership after they’ve submitted an online request. EFG Companies fielded the initial national research study in 2015, in response to shifting demographics, a challenging retail automotive sales environment, and a desire from its customers to generate more revenue. A comparison of the data between 2015 and 2018 reveals notable changes in consumer preferences and buying habits. This new sales paradigm is counterintuitive to dealerships that rely solely on negotiating face-to-face. EFG’s consumer research revealed the number of customers who expect the dealership visit to take more than one hour is down more than 10 percent from 2015, with another 10 percent of respondents saying they do not want to visit a dealership at all. These customers prefer to complete the selection and negotiation process online or by phone, only visiting the dealership for the final transaction. More than 55% of consumers surveyed preferred a dealership that answered questions and provided additional information to be considered. Including F&I options ranked high, specifically products that can add value to the sale. Specifically, vehicle service contract products were well received. Dealerships must consider that younger demographic customers may only enter the dealership to sign paperwork. Waiting until the customer is in the store to begin the F&I product education process could potentially lessen the discussion’s effectiveness, reduce back-end revenue, and even jeopardize the sale.